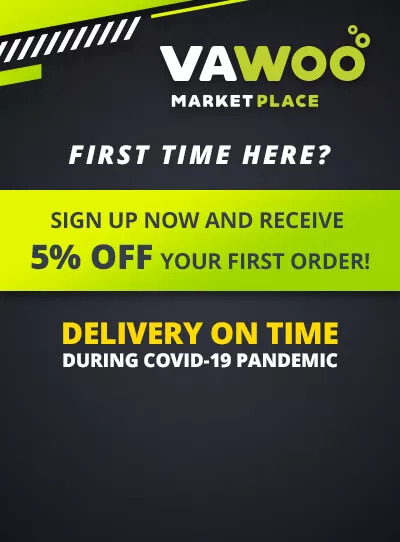 Buy online Hydrology9 Portable Vaporizer in the Vape store | Vawoo.co.uk! 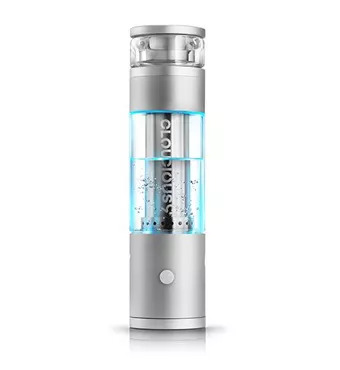 Minimum quantity for "Hydrology9 Portable Vaporizer" is 1. 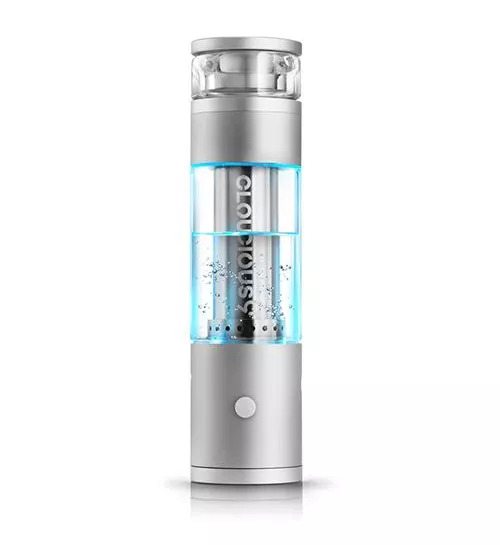 We are extremely excited about the new hydrology9 vaporizer available online from our UK store. 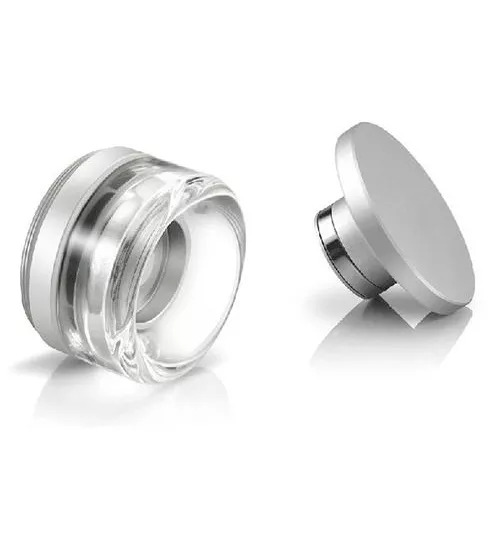 This is the first of its kind water filtered vaporizer available on the market which offers amazingly cool flavourful vapor from the favourite looseleaf. 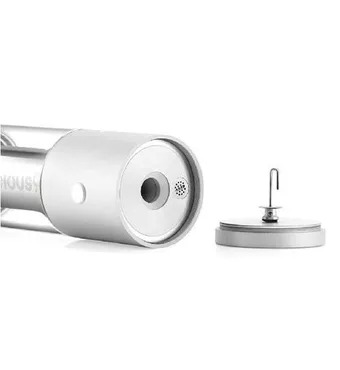 Cloudious is shaking up the industry with the revolutionary Hydrology9 portable vaporizer. 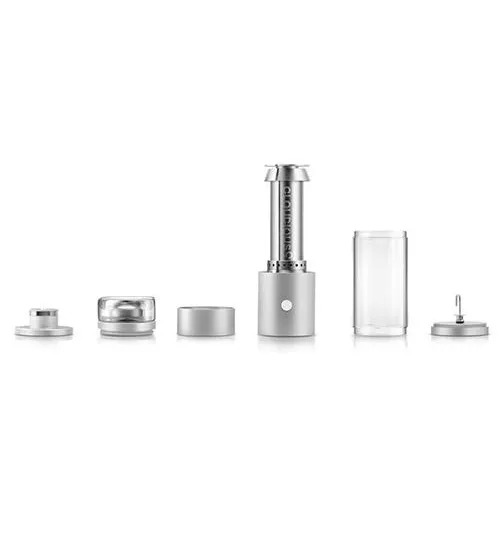 Meticulous craftsmanship is an instant indicator that the Hydrology9 is a portable vape like no other. 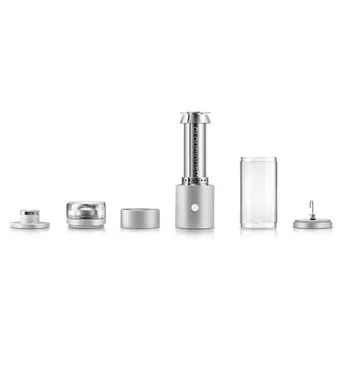 Leak-proof water filtration soothes and cools your vapors, while the integrated oven stir tool ensures your materials are always evenly vaporized. 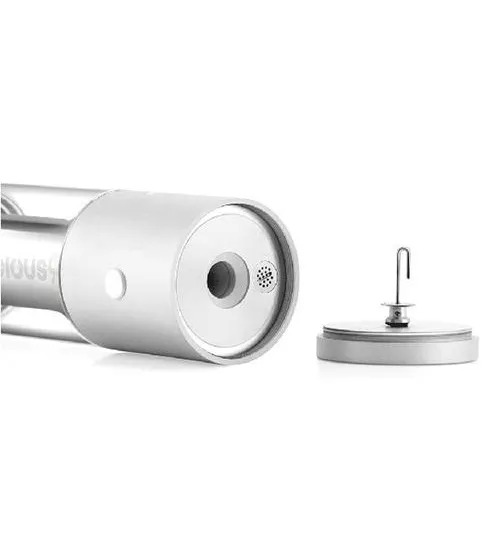 Cloudious9 used only premium materials on the Hydrology9: Aircraft quality aluminum that refuses to rust, a porcelain oven that combines with the borosilicate glass to deliver premium-quality vapors every single time. Hydrology9 is packed full of features, but it's still a snap to use. Remove bottom cap/stir tool, and load your freshly ground herbs into the oven, being mindful not to load past the top line. To not pack too tightly. Replace cap/stir tool. Now unscrew the mouthpiece, and after ensuring all parts are tightly screwed down, fill the reservoir halfway through the top portion. The Hydrology9 comes apart for easy cleaning and maintenance. Simply unscrew all the parts, and clean all non-electronic parts with a microfiber cloth and isopropyl alcohol. Rinse all non-electric items with water to remove all traces of the alcohol. Allow to dry completely. 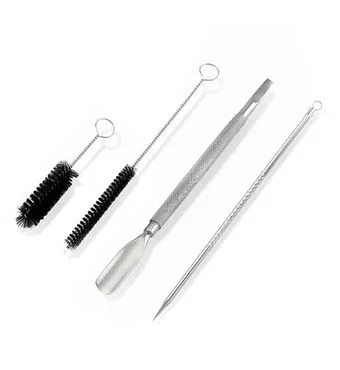 The oven can be kept in prime operational order but using the included cleaning brushes to remove any buildup. Never bring the oven portion of the Hydrology9 near moisture.